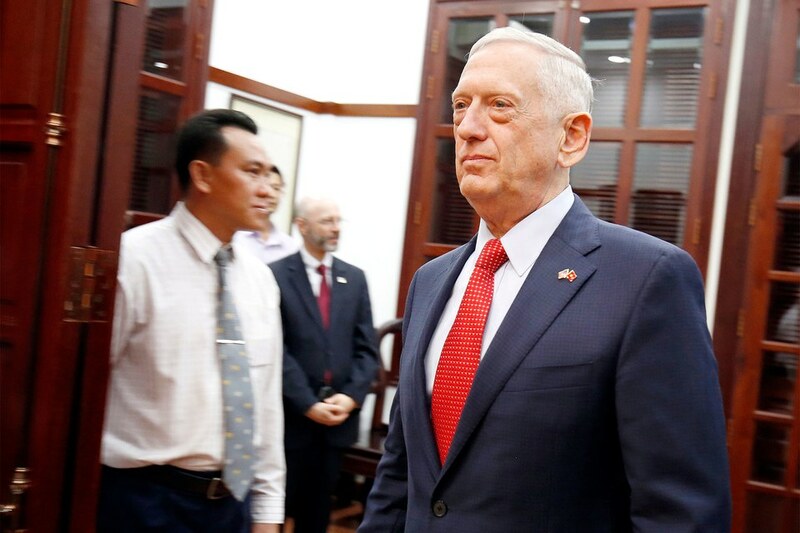 Jim Mattis photographed in Ho Chi Minh City, Vietnam on October 16, 2018. And yet, even Mattis—a well-read intellectual who joined the Marines at 18—may soon become a casualty of the pernicious office politics of Donald Trump’s West Wing. Sources I have spoken with suggested that the appointment of John Bolton, Trump’s warlike national security adviser, may have contributed to tensions with the Pentagon. “I am not saying that Mattis is not willing to use military force. That would be insane to say that. But what I am saying is that he does not advocate using it—as President Obama used to say—stupidly,” said Lawrence Wilkerson, a former United States Army colonel knows both Mattis and Bolton. “I think he would think that what John might recommend with regard to Syria, what he might recommend with regard to Iran, indeed with what he might openly recommend with regard to North Korea because we aren’t going anywhere there anytime soon—Mattis would not agree with.” Mattis and Bolton’s deputy, Mira Ricardel, are also said to have a contentious relationship dating back to the presidential transition. Even for an administration accustomed to chaos, replacing Mattis will be a politically charged exercise. “The most powerful man in the government outside the president of the United States is not the national security adviser, it is not the secretary of state, it is the secretary of defense,” Wilkerson told me. “He’s got more money, he’s got more allies on the Hill, he’s got the military behind him—they have guns. The most powerful guy is that guy—and the presidents muck with them at their peril.” The task becomes even more difficult if Mattis doesn’t go willingly. The former administration official stressed that Chief of Staff John Kelly, who views Mattis as one of his last remaining allies in the administration, would likely fight Trump if ever tasked with firing Mattis. “He would do everything in his power to not do it. I am not sure, if there was a final direct order, if he would resign over it,” this person said.